Take dal in a bowl and wash well. Add 250ml water to washed dal and place this bowl in pressure cooker and heat it. After first whistle, lower the flame and cook the dal in pressure cooker for 10 minutes. After 10 minutes of cooking dal, switch off flame and allow pressure cooker to cool. 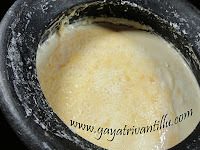 Remove the cooked dal from pressure cooker and mix with a spoon so that it gets mashed roughly. Wash and chop tomato into small pieces. Wash and grate ginger. Wash and finely chop green chilies. Heat a pan and add ghee and heat it. When ghee is hot, add cumin seeds and allow them to splutter. Then add chopped green chilies and fry stirring till they turn crisp. Then add asafetida, turmeric powder and ginger and fry for few seconds. Now add tomato pieces and salt and mix well. Cover the pan and cook till tomato pieces are well cooked. Then add kasoori methi and mash the tomato pieces lightly with the back of the ladle. Now add cooked dal and mix. Add water to get the required consistency. Check the dal for seasonings and adjust accordingly. Cook the dal for 2 minutes and transfer to a serving bowl. Heat a pan and add ghee and heat it. Add cumin seeds and allow them to splutter. Then switch off flame and add red chili powder and turmeric powder and mix and immediately add this seasoning on top of the dal in the serving bowl. Just before serving add lemon juice and mix and serve or place lemon wedges on the dining table so that people use them as per their requirement. Serve hot dal fry with jeera rice. Dal fry is a simple lentil preparation which is very easy to make and tastes excellent when served hot. Add lemon juice just before adding seasoning garnish and mix well or serve lemon wedges along with the dal fry so that people help themselves individually. Fry cumin seeds well till they fully splutter as this gives the main flavor of this dal fry. Heat oil well and add cumin seeds so that they splutter immediately---see that cumin seeds do not get burnt. Fry green chili pieces well in ghee so that they do not taste hot but they release flavor. Use only ghee to get nice flavor. Dried fenugreek leaves give a silent taste to the dal fry and tomato balances it. Do not forget to add lemon juice as it gives a tangy taste and balances the spiciness of green chilies. At times we do not feel like eating heavy food. At times there would not be any vegetable at home to cook food. At times we do not feel like spending more time in the kitchen to cook food. 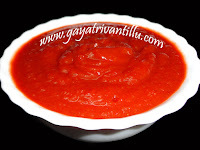 At such times this dal fry gives a balanced and tasty food which can easily be prepared within no time. Serve hot dal fry with jeera rice.